NEW EDIT: please note in my post below when I refer to FRU, I am talking about the old TRUCK-DRIVEN frus. (Not the new HC walkable FRUs). Ok, so we have been testing the FMS out for a while now - it has some advantages of course, but we also see that it leads to more camping of spawn too because the campers need to lock the FMS down until an Engineer shows up. Now because of these new changes, it has become very difficult to coast a truck into town silentlly after a battle has started because there are so many invalid deployment spots for the FMS. The FRU never had these clipping issues. And I always enjoyed sneaking in and finding a nice spot hidden from enemy air which the FRU was always better at. So could we just give mission leaders the ability to deploy either the FMS or FRU anywhere, and let the mission leader decide which one is best for his/her own mission? Oh the irony of this post. And the new FMS deployment limitations are terrible. Need to revert back, can't place an FMS anywhere good anymore. Now don't get all "snarky"
Still I hadn't noticed that too much, which might mean I am not setting enough FMS, lol. Ummm, not exactly: There is still a difference between actually using a truck, and just plain old walking. it has become very difficult to coast a truck into town silently after a battle has started because there are so many invalid deployment spots for the FMS. Sounds like all of the elements that are needed for the successful placement of a friendly spawnable, don't they? You still have to drive a truck, you have to cut engines pretty far out - Consequently you also can not deploy as close to the enemy as a walking FRU. With a walking FRU you can literally pop up the FRU right next to the enemy making no sound at all to get there. Anyway... at least you recognize that the FMS does have some issues when the defense is active. Whatever can be done to facilitate more action is a good thing, and if your changes get that done, I'm all for it. I hate the staleness that can occasionally accompany the FMS like the plague. I just want less staleness and more sustainable fights. Lets see, someone mentioned WWIIonline and realism.......yes it was CRS for the direction of the game. Walking in a FRU behind enemy lines is not realism. Walking a FRU anywhere is not realism. And I always enjoyed sneaking in and finding a nice spot hidden from enemy air which the FRU was always better at. Should the Allies have been guarding the bunker? Probably, or at least checking it. But they also should have had a decent sense that if they have a well defended bridge, you shoudn't expect an entire army to spawn out of a bunch of boxes hidden in a shrubline. The FRU issue is the same no matter what the town, terrain, or type of attack. Its just that when it comes to rivers it is blatantly obvious how gamey of a mechanic it is. I think you misundextood my post. I am not talking about HC FRUs. (In fact I would totally remove HC walkable FRUs if it was my choice). I don’t really like them either for reasons you mention. I am talking about the old TRUCK-driven FRUs (the ones we still have right now that can still be deployed in big cities). You still need a truck to move these FRUs across a river. I just want to have the option to deploy the truck driven FRU everwhere again (aslong with the FMS) because the FMS can not be deployed now in a lot of locations (like on hills and sometimes under trees) due to clipping issues. Its hindering the ability of mission leaders to setup freely around towns now. I haven't noticed much issue with placing truck-based FMS's even since the clipping change. Maybe I pick less complex spots than most? As for the HC FRUs... In most situations I don't have much of a problem as they only spawn rifles. However, using them to backdoor strong defensive positions (like a river with a defended bridge) is a bit gamey... but by the same token, I don't necessarily think it's unrealistic if, for instance, there is an undefended rail bridge 1km upstream the enemy could be crossing. Until such a time as code would allow checking if there are local bridges up and undefended, I would love to see the HC officer FRUs be very brittle - allow and HE round, grenade, bomb, cannon or satchel destroy them. So you are talking where the Truck stays as a Spawn point if I understood that right? I would call it TMS , calling it Fru is confusing , instant soldier out of a box is in my mind when I hear FRU. If CRS would give the engineer another PPO option of camo netting one could park in those little woods around towns and really camo it up. Now if you are talking TMS (like I think you are ) what is the threshold of killing one? In my eyes once a TMS is set the driver itself should disappear and a satchel of blowing up the truck is needed. Yes the amount that is needed to kill it is lower but because it's Truck based I thing the Spawn point should be instantly available, once it's decided not to build a FMS . So FMS still build timer, Truck set (TMS)= instant spawnpoint simulation of a large group of soldiers dismounting of truck. I like that idea if that is how u intent your idea. Just trying to make sure like I said this FRU talk is a bit confusing after having so many different MS already know game and each has a short appreviation. I am not sure what to call the FRU, but we used to call the truck MS just a “FRU” before the FMS came out. And we already can deploy these TFRUs (truck FRUs) right now in big cities like Antwerp. - when you press Z - to deploy a FMS, just hit (Backspace) to toggle between the FMS, ammo box etc... and you will see the TFRU is right there too - its just not available anymore outside of big cities because Xoom wanted us to use the FMS only when it was a new thing in game. But the FMS is not so new anymore, so maybe we can have the Truck FRU back again as a fallback option to solve the new deployment issues with the FMS? The original term for the truck turning into a spawn point is MSP, for Mobile Spawn Point. FRU only came in with the infantry dropped boxes. OK you talking the Box MS.
Yeah its smaller , I just never liked the look of a soldier spawning out of a box so to speak. Sure spawning by a Bunker is not the best look either but at least one could say they come out of a bunker then spawn by a bunch of boxes . I guess it's a way one looks at things. 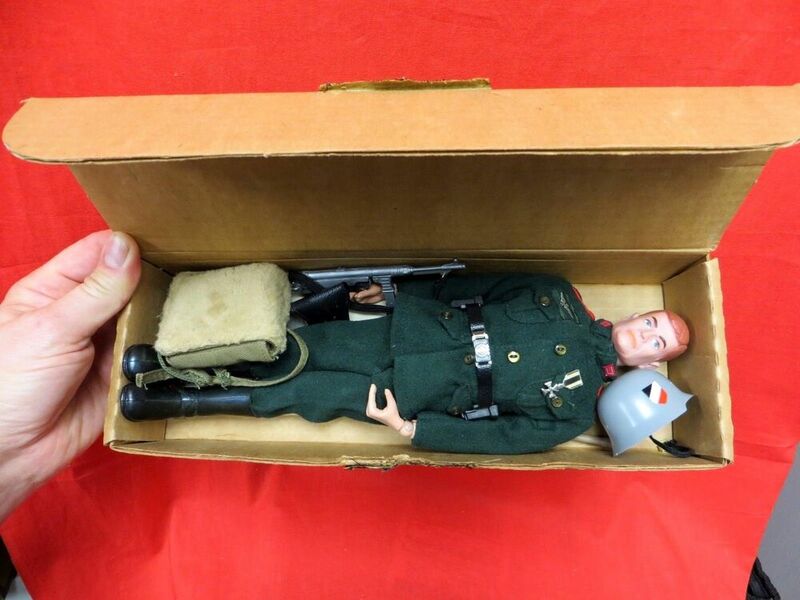 I just never liked the look of a soldier spawning out of a box so to speak. I agree 100%, with one caveat. The river modeling is terrible in game. It's like every river is in the Grand Canyon, and you can't climb the banks albeit except for a few select spots. This needs to be changed. Also would be interesting to be able to construct portable bridges (light/inf only), kinda like a building a truck based FMS, but with a timer that took much longer. I myself would like to see the water level to rise by a few feet. Sometimes or most times the ATG on the boat is pretty useless unless a Tank decides to sit right by the river or on the rr tracks. A few feet of higher water level would do wonders all around . My opinion . yes the ability to bridge a river would be a great addition. Soldiers swimming across a river is not something that would happen very often. A lot of soldiers in that time would not be able to swim that far-- no helicopter parents to take them to swim class when they were growing up. Also swimming with combat gear and weapons would be very difficult. Perhaps add a 50-50 chance of drowning would be more realistic. The first bridge across a river always was a pontoon bridge. Bailey-type bridges were built to replace pontoon bridges. At first I thought you were talking about letting ML's place them anywhere as any equipment (i.e. rifleman placing FMS's wherever) and I literally unsubbed back (i want to say 2010?) when it was implemented. Literal wack a mole to a [censored] degree. As far as the boxes though it might not be as good as perceived. Those flags of each nation are a real eye sore from ground and air alike (Making easy targets to spot) and if I recall correctly you could take them out with a couple grenades too. The good thing about an FMS is you NEED sachels to take it out, at least allowing it's longevity. FMS's are probably the best implementation i've seen about spawning in game yet. MSP's were alright but when they first came but, you literally had to sit in your truck and if you despawned it's gone. I proposed something a long time ago around the lines of ZOC spawns, where you cap layers of the outside town until you get close enough to cap the actual town. Prevents ninja capping and allows more ZOC battles rather than "Find the FMS". The real problem is coding any new spawning into the game, that's the big issue.